Home Inspections Resource is locally owned and operated by Derek Walters. I have over 30 years of Home Building experience. I am a licensed and insured Alabama Home Inspector by the Alabama Building Commission. 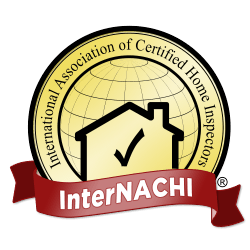 I am also a member of the International Association of Certified Home Inspectors (InterNACHI). I have passed the National Home Inspectors Examination and the American Society of Home Inspectors Standards of Practice and Code of Ethics tests. This experience means that you will receive the quality inspection that you are looking for and that you will be treated in a professional manner. I will inspect your home using the ASHI standards of practice and code of ethics. I will provide you with an easy to read Inspection Report after completion of your Home Inspection. Your report will include details and pictures of the different areas of your home and property. To schedule an inspection please email me or call me.